Valentines’ Day is around the corner and so is the pressure of gifting your special someone the perfect gift. This Valentine’s Day go beyond the traditional chocolates and love-struck cupids and choose a device that brings comfort and utility to the life of your loved ones. While many of us are still stuck finding that ideal gift, look no further as Panasonic brings some great easy-breezy options that will surely make your loved one feel extra special, and your day a memorable one. Panasonic Seekit: Looking for ways to keep your Valentine’s belongings safe? The investing on Panasonic Seekit is the right thing for you as this portable and sleek Bluetooth tracker creates a two-way communication between the user and their valued items. 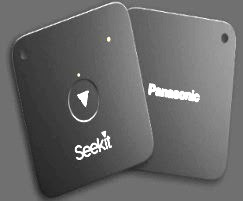 An IoT based utility product- Panasonic Seekit empowers the user to simply tag their valuables, connect to the Seekit smartphone app and find them without any hassle. 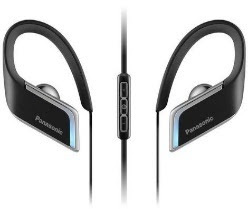 The device is a result of extensive research of consumer behaviour, where the solution uses IoT to safeguard valuables through Panasonic’s smartphone app while harnessing the power of Bluetooth. In order to create a smart and connected ecosystem, Seekit is another step towards developing technologically. Seekit Edge priced at INR 1599 and Seekit Loop priced at INR 1299. Shavers and Trimmers: Help him to stay updated with the latest beard styles with a wide range of Panasonic shavers and trimmers. Choose from the elegant card shaver for shaving on-the-go or blade-shavers allowing a fast, smooth and close shave. or those who like the stubble look, choose from wide-range of trimmers with different blade sizes.